Oakland is the largest city and the county seat of Alameda County, California, United States. Your day-by-day itinerary now includes Golden Gate Bridge, Mission Dolores, Mission District, and other attractions you added. Next up on the itinerary: explore the activities along Lake Merritt. For photos, traveler tips, more things to do, and more tourist information, go to the Oakland holiday planning site . Budapest, Hungary to Oakland is an approximately 18-hour flight. You can also do a combination of train and flight; or do a combination of flight and train. The time zone changes from Central European Time (CET) to Pacific Standard Time (PST), which is usually a -9 hour difference. Traveling from Budapest in June, you will find days in Oakland are slightly colder (26°C), and nights are about the same (15°C). Finish your sightseeing early on the 9th (Sun) to allow enough time to drive to Monterey. Monterey is a city in the U.S. Your day-by-day itinerary now includes Old Fisherman's Wharf, Monterey State Historic Park and Colton Hall Museum. 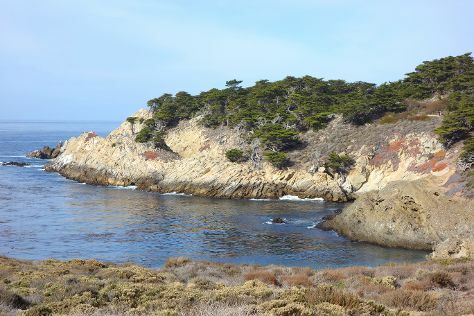 Kick off your visit on the 9th (Sun): take an in-depth tour of Colton Hall Museum, admire the majestic nature at Monterey State Historic Park, take a leisurely stroll along Old Fisherman's Wharf, then appreciate the extensive heritage of Pacific Grove Oceanview Boulevard, then contemplate the waterfront views at Monterey Bay, and finally cruise along 17-Mile Drive. For reviews, ratings, and more tourist information, refer to the Monterey trip itinerary planning site . You can drive from Oakland to Monterey in 2 hours. Alternatively, you can fly; or take a shuttle. When traveling from Oakland in June, plan for little chillier days and about the same nights in Monterey: temperatures range from 23°C by day to 13°C at night. Wrap up your sightseeing by early afternoon on the 10th (Mon) to allow enough time to drive to San Luis Obispo. San Luis Obispo, or SLO for short, is a city in the U.S. Your day-by-day itinerary now includes Mission San Luis Obispo de Tolosa as well as Bubblegum Alley. To see traveler tips, other places to visit, ratings, and other tourist information, use the San Luis Obispo road trip planner . You can drive from Monterey to San Luis Obispo in 2.5 hours. Other options are to take a bus; or take a train. Expect somewhat warmer weather when traveling from Monterey in June: highs in San Luis Obispo hover around 30°C, while lows dip to 13°C. 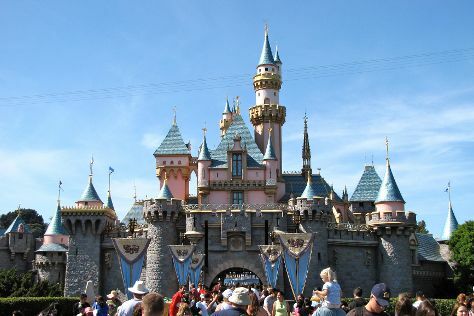 Finish your sightseeing early on the 11th (Tue) to allow enough time to travel to Los Angeles. Venture out of the city with trips to Anaheim (Disneyland Park, Disney California Adventure Park, & more). Pack the 13th (Thu) with family-friendly diversions at Universal Studios Hollywood. There's still lots to do: see the interesting displays at The Getty Center, enjoy the sand and surf at Venice Beach and Boardwalk, explore the world behind art at Diorama-museum of Bhagavad-gita, and see the sky in a new way at Griffith Observatory. To see reviews, other places to visit, more things to do, and more tourist information, read our Los Angeles day trip planner . You can fly from San Luis Obispo to Los Angeles in 3.5 hours. Alternatively, you can drive; or take a train. Traveling from San Luis Obispo in June, Los Angeles is somewhat warmer at night with lows of 19°C. Finish your sightseeing early on the 16th (Sun) so you can drive to San Diego. 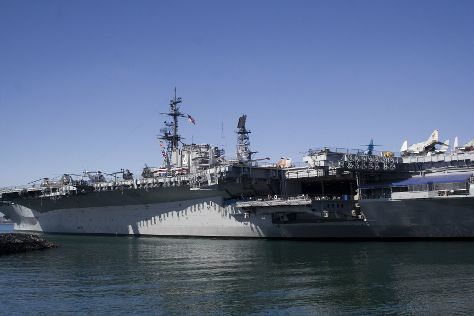 Kick off your visit on the 16th (Sun): step aboard Maritime Museum of San Diego and then tour the pleasant surroundings at San Diego Zoo. For traveler tips, ratings, maps, and tourist information, refer to the San Diego tour itinerary maker . Drive from Los Angeles to San Diego in 2.5 hours. Alternatively, you can take a bus; or fly. While traveling from Los Angeles, expect slightly colder days and about the same nights in San Diego, ranging from highs of 26°C to lows of 20°C. On the 17th (Mon), wrap the sightseeing up by early afternoon so you can travel to Las Vegas. Change things up with a short trip to Hoover Dam in Boulder City (about 50 minutes away). The adventure continues: take in breathtaking views at Red Rock Canyon National Conservation Area, take in nature's colorful creations at Bellagio Conservatory & Botanical Gardens, take a memorable tour with Tours, and see the interesting displays at The Mob Museum. For traveler tips, photos, more things to do, and more tourist information, you can read our Las Vegas trip itinerary planning tool . Getting from San Diego to Las Vegas by flight takes about 3.5 hours. Other options: drive; or take a bus. While traveling from San Diego, expect much hotter days and a bit warmer nights in Las Vegas, ranging from highs of 46°C to lows of 29°C. Wrap up your sightseeing on the 21st (Fri) to allow time to drive to Flagstaff. On the 21st (Fri), contemplate in the serene atmosphere at Chapel of the Holy Cross and then explore the striking landscape at Cathedral Rock. 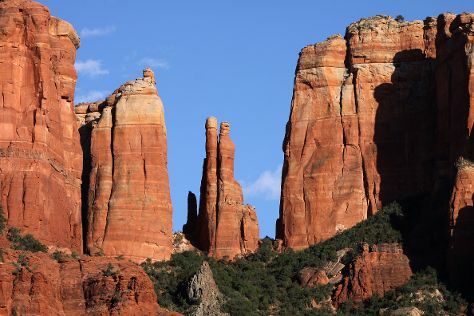 Here are some ideas for day two: take in the dramatic natural features at Bell Rock, then cruise along Red Rock Scenic Byway (SR 179), and then see the sky in a new way at Sedona Star Gazing. For other places to visit, photos, maps, and other tourist information, go to the Flagstaff travel itinerary planner. You can drive from Las Vegas to Flagstaff in 4.5 hours. Other options are to fly; or do a combination of flight and bus. Traveling from Las Vegas to Flagstaff, you'll lose 1 hour due to the time zone difference. Traveling from Las Vegas in June, things will get cooler in Flagstaff: highs are around 32°C and lows about 8°C. Finish your sightseeing early on the 23rd (Sun) so you can drive to Page. On the 23rd (Sun), have fun at Gunfighter Canyon, take in the dramatic natural features at Horseshoe Bend, and then take in breathtaking views at Antelope Canyon. For ratings, maps, photos, and other tourist information, read our Page day trip tool . Drive from Flagstaff to Page in 3 hours. Alternatively, you can take a shuttle; or take a bus. When traveling from Flagstaff in June, plan for somewhat warmer days in Page, with highs around 41°C, while nights are much hotter with lows around 24°C. Finish up your sightseeing early on the 23rd (Sun) so you can go by car to Flagstaff. 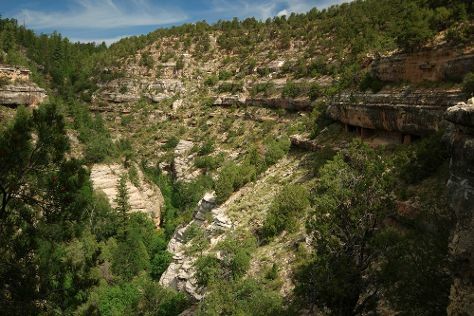 Kick off your visit on the 24th (Mon): have fun at Flagstaff Extreme and then take in breathtaking views at Walnut Canyon National Monument. To find traveler tips, photos, ratings, and more tourist information, you can read our Flagstaff travel planner . Traveling by car from Page to Flagstaff takes 3 hours. Alternatively, you can take a shuttle; or take a bus. Expect a bit cooler weather when traveling from Page in June: highs in Flagstaff hover around 32°C, while lows dip to 8°C. Wrap up your sightseeing on the 24th (Mon) to allow time to travel to Barstow. Barstow is a city in San Bernardino County, California, United States. To see traveler tips, other places to visit, more things to do, and tourist information, read our Barstow travel route planner . Traveling by car from Flagstaff to Barstow takes 5.5 hours. The time zone changes from Mountain Standard Time to Pacific Standard Time, which is usually a -1 hour difference. Traveling from Flagstaff in June, expect Barstow to be much warmer, temps between 46°C and 26°C. You will leave for Mammoth Lakes on the 25th (Tue). Mammoth Lakes is a town in Mono County, California, the county's only incorporated community. 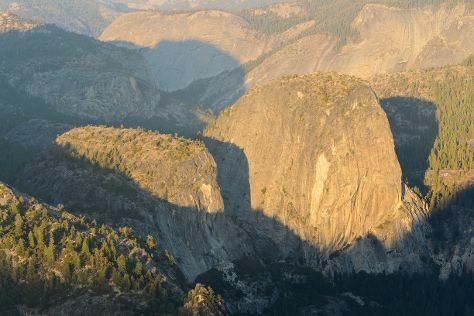 On the 25th (Tue), admire the sheer force of Vernal Fall, then take in the dramatic natural features at Sentinel Dome, and then explore the striking landscape at Glacier Point. On your second day here, don't miss a visit to Yosemite Conservation Heritage Center, admire the sheer force of Yosemite Falls, and then take in the dramatic natural features at El Capitan. To find more things to do, photos, and other tourist information, refer to the Mammoth Lakes holiday maker tool . Drive from Barstow to Mammoth Lakes in 4.5 hours. Plan for cooler temperatures traveling from Barstow in June, with highs in Mammoth Lakes at 30°C and lows at 7°C. Wrap up your sightseeing by early afternoon on the 27th (Thu) to allow time for travel to Three Rivers. Three Rivers is an unincorporated community in Tulare County, California, United States. On your second day here, explore the striking landscape of Sequoia and Kings Canyon National Parks. To find photos and tourist information, go to the Three Rivers trip builder website . Drive from Mammoth Lakes to Three Rivers in 6 hours. Prepare for somewhat warmer weather when traveling from Mammoth Lakes in June: high temperatures in Three Rivers hover around 40°C and lows are around 19°C. Cap off your sightseeing on the 29th (Sat) early enough to travel to Sacramento. The capital city of America's most economically significant state, Sacramento is an important stop for any politico. Start off your visit on the 30th (Sun): examine the collection at California State Railroad Museum and then explore the landscape on two wheels at American River Bicycle Trail. For maps, where to stay, ratings, and more tourist information, use the Sacramento trip maker . Getting from Three Rivers to Sacramento by car takes about 4 hours. Other options: fly. In June, daytime highs in Sacramento are 38°C, while nighttime lows are 17°C. Wrap up your sightseeing on the 30th (Sun) to allow time to drive to Napa. Located just 80 km (50 mi) north of San Francisco, Napa sits at the southern end of the scenic Napa Valley, one of the world's major wine regions. On the 30th (Sun), learn about winemaking at V. Sattui Winery. Keep things going the next day: look for all kinds of wild species at Safari West, don't miss a visit to Sonoma Barracks, and then make a trip to Sonoma Plaza. For ratings, traveler tips, other places to visit, and more tourist information, read our Napa travel planner. You can drive from Sacramento to Napa in 1.5 hours. Alternatively, you can take a bus; or do a combination of train and bus. In June, Napa is a bit cooler than Sacramento - with highs of 31°C and lows of 13°C. Wrap up your sightseeing on the 2nd (Tue) to allow time to drive to Pacifica. Pacifica is a city in San Mateo County, California, on the coast of the Pacific Ocean between San Francisco and Half Moon Bay. Venture out of the city with trips to Tall Trees Grove (in Redwood National Park), Half Moon Bay (Half Moon Bay Coastal Trail & Half Moon Bay State Beach) and Point Reyes Lighthouse (in Point Reyes National Seashore). Next up on the itinerary: grab your bike and head to Devil's Slide Trail, hike along Mori Point, examine the collection at Burlingame Museum of Pez Memorabilia, and enjoy the sand and surf at Mavericks. To see maps, reviews, and other tourist information, you can read our Pacifica road trip app . You can drive from Napa to Pacifica in 1.5 hours. When traveling from Napa in July, plan for a bit cooler days in Pacifica, with highs around 26°C, while nights are about the same with lows around 16°C. Cap off your sightseeing on the 7th (Sun) early enough to travel to Pismo Beach. Pismo Beach is a city in San Luis Obispo County, in the Central Coast area of California, United States. Kick off your visit on the 7th (Sun): look for all kinds of wild species at Ostrich Land, admire the architecture and history at La Purisima State Historical Park, and then take a tour by water with Boat Tours & Water Sports. Here are some ideas for day two: do a tasting at Sunstone Vineyards & Winery, then admire the architecture and history at Old Mission Santa Ines, and then savor the flavors at Food & Drink. For traveler tips, where to stay, photos, and other tourist information, refer to the Pismo Beach trip itinerary app . Explore your travel options from Pacifica to Pismo Beach with the Route module. Traveling from Pacifica in July, expect nights in Pismo Beach to be about the same, around 15°C, while days are somewhat warmer, around 31°C. On the 9th (Tue), wrap the sightseeing up by early afternoon so you can travel back home.